Austin Baird | State of Alaska Oct 10, 2018. 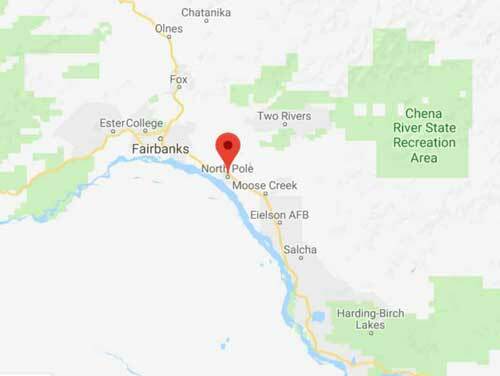 NORTH POLE – At a ceremony Tuesday, Alaska Governor Bill Walker and Department of Military and Veterans’ Affairs (DMVA) Commissioner Laurie Hummel designated the city of North Pole as the first military facility zone in Alaska, a change that will help spur private infrastructure development to support Eielson Air Force Base and its operations. The military facility zone designation means private sector ventures in the area will get priority review status from the Alaska Housing Finance Corporation and the Alaska Industrial Development and Export Authority to qualify for existing infrastructure financing programs. It allows local governments to provide partial or full property tax relief for up to ten years for private sector infrastructure that benefits military facilities. “The city of North Pole is excited to have another tool in the tool belt to be able to better accommodate our nation’s defense and support the businesses and organizations that service the mission,” said North Pole Mayor Bryce Ward. Representation Steve Thompson sponsored and passed two bills that created and strengthened the military facility zone process in 2013 and 2014. Governor Walker signed Senator John Coghill’s SB 9 in 2017, allowing local governments to apply for military facility zones by local ordinance. City of North Pole adopted ordinance number 18-10 in May 2018 to apply for the new zoning designation, as reviewed and certified by the Commissioner of DMVA, lasting twenty years. U.S. Department of Defense spending makes up a larger proportion of Alaska’s GDP than in all but two others states, equal to about $3,840 per Alaskan each year.